Michael Jackson was getting ready to make a comeback in London, U.K.
AEG president and Chief Executive, Randy Phillips had viewed Michaels performance the night before where is was said that Michael rehearsed until 1:30 A.M. There was a physical that Michael Jackson had to pass in order to go on tour. Insurance is involved and a physician. Michael Jackson had wanted his physician Dr. Conrad C. Murray, a cardiologist to tend to him. It was Dr. Murray who was giving Michael CPR when the call was made to 911 after Michael had collapsed and became unconscious. There will be much more following this case than why Michael insisted on having a Cardiologist. Deepak Choprah mentioned on Larry King that he knew Michael personally and that Michael was doing Oxycodone, which is addictive. Deepak taught him meditation and is stated on Larry King Live that it is well known that there are enablers. Doctors who will give prescribed drugs to these famous stars in Hollywood and that these stars become addicted. Deepak may be leading the new wave of fans and friends of Michael Jackson’s into a call for a full investigation into the reason that Michael Jackson was taking prescribed medications. Deepak had a knowledge of Michael’s life and Larry King will have him back later after the initial shock of the death of Michael Jackson. There is more but the toxicology report we will not be aware of for another 4 weeks. 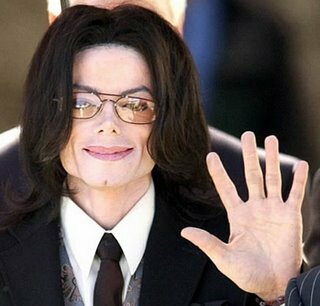 Michael Jackson’s body was taken to an undisclosed mortuary out of respect to the Jackson family at their request. There will be a long involvement and many stories to follow on the doctors in Hollywood or those like dr. Conrad C. Murray who practices in Houston, Texas, Las Vegas, Nevada, and is licensed in California as well. This will be a story that is due to come out after the path that has been left by Marilyn Monroe, Elvis Presley, Nicole Smith and other famous stars that was known to be addicted to presciption drugs and the doctors who enabled them for their own personal gain from greed for money and keeping the stars happy even if it killed them in the long run.